This is another sample acquisition / prospecting letter by Karen Zapp, fundraising copywriter. 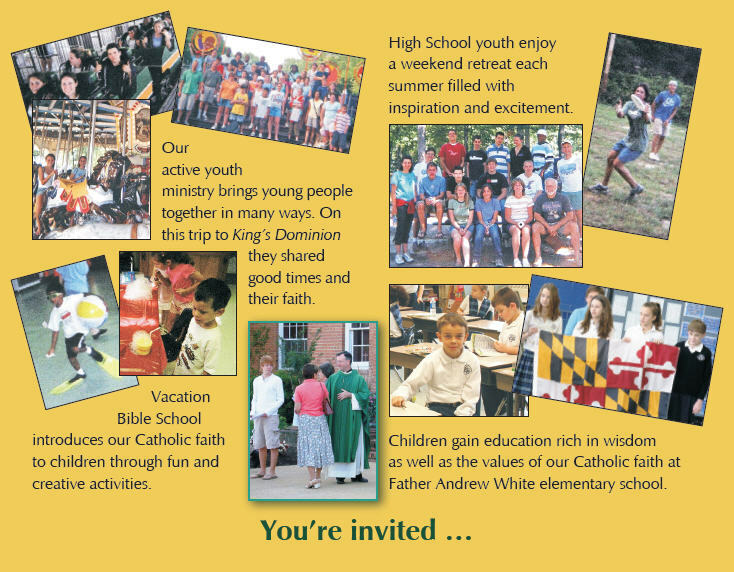 A church used this postcard to invite new members of the community to come and visit the parish. 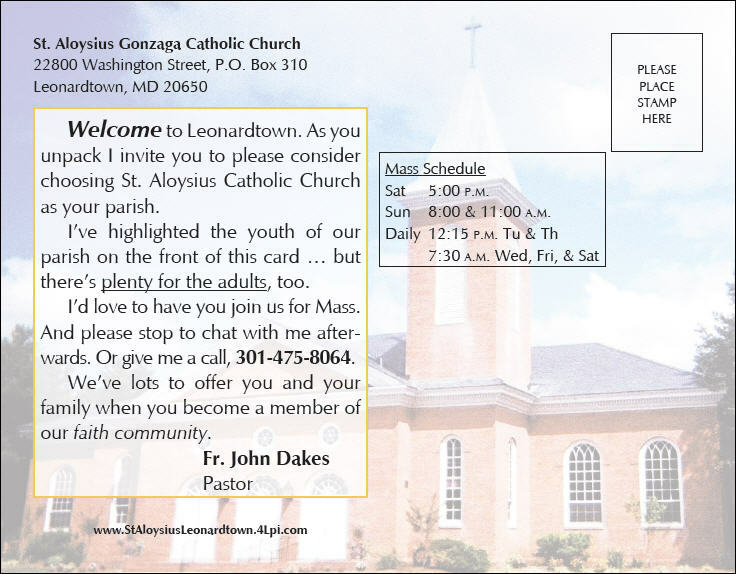 The pastor wanted an acquisition piece that people would read (postcard was the solution); that simply invited newcomers to check them out; gave an idea of what was available in terms of activities and programs; that could be used for a long time; and that was economical to print and mail.